Mind cannot exist without matter; matter cannot exist without mind. This is what I have come to see as perhaps the most essential theme that runs through American philosophy. In the modern western world it is the French genius Rene Descartes that is cited as having definitively cleaved mind from matter res cogitans and res extrensa. Of course we all have literally everything to thank Descartes for. As the father of Western philosophy he paved the way for all of the victories of the modern world. At the same time many have critisized the split between mind and matter that he seems to have solidified, making it possible to imagine a mind without matter and matter without a mind. This means that those with more idealistic tendencies can imagine an absolute mind – a God – that exists in a transcendent realm completely apart from or prior to the existence of any material universe whatsoever. At the same time those tending toward nominalism or materialism can imagine an entirely dead universe, empty space filled with inert matter, without any intelligence whatsoever. As I read the American philosophers their tendency, particularly in the blossoming of Pragmatism, was to see mind and matter as two aspects of one thing. Of course to us this is nonsense. You can’t have one side of a coin without the other side. Similarly in the integral understanding of reality that was being developed through the course of American philosophy, it is nonsense to think that you could have mind without matter, or matter without mind. A pure absolute intelligence or an absolutely dead universe cannot exist. And to go further, every element of mind must have a correlate in matter and all of matter must have its parallel in mind. To look at it in another way, all insides must have an outside and all outsides must have an inside. This is the Integral Assumption that rests at the foundation of American philosophy. It is also why the Pragmatists believed that the value of all thought must be found in the world. It was the German philosopherImmanuel Kant that began the revolution in philosophy that tried to insist upon a necessary unity between mind and matter. American philosophy from the Transcendentalists to the Pragmatists is resting on the broad shoulders of Kant and building on some of his essential insights. “Nature is the opposite of the soul, answering to it part for part. One is seal, and one is print.” Ralph Waldo Emerson says in his famous American Scholar address. There is a necessary unity between mind and matter. They are two sides of one coin as the saying goes. Now when we say that something and something else are two sides of one coin we are not saying that they are two parts that make up one whole. The metal head and the wooden handle are two parts that make up a hammer, but they are parts that can be separated. You can remove the head from the hammer and each remains intact. Not so with the two sides of a coin. You cannot separate one side of a coin from the other. Even if you were to slice the coin through its edge into two halves and through one half away the half remaining would still have two sides. You could split the coin again and again, each time throwing away one half, and every time you look at the half remaining half you will find that it still has two sides. You cannot separate the two sides of a coin. In fact, the only way I can imagine what it would be like to remove one side of a coin is to imagine holding a coin between my fingers and looking at one side flatly. Then imagine flipping your fingers around so that you were looking flatly at the other side of the coin. Now imagine when you do this that you find once your fingers have turned the coin around that to your surprise there is nothing between your fingers. You flip the coin over again and you clearly see the other side. Flip it back and the coin is nowhere to be seen between your fingers. Go back and forth a few times and you realize that one side of the coin is missing! This static connection Mind/matter connects for me with a speech of Emerson: But man is divided, metamorphosed into a thing: a priest becomes a form, the attorney a statute-book, the mechanic a machine, the sailor a rope of a ship. The scholar is the delegated intellect’. I think matter is a temporary form of mind, just to help mind become aware of itself: Emerson: ‘Truth is not a noun but a verb, an action, a performance. For not until knowledge is acted upon is it completed, made real’. Those are great quotes from Emerson! Thank you. What are the two sides of Time ? Descartes has not been well understood. He is a subtle writer. He is credited with separating mind and matter, but what he was really saying is that mind is higher than matter, is really different. They are indeed very different. This same argument is taken by Steiner in the Philosophy of Freedom, and explained very well. “I think therefore I am” is not the same at all as to say“I walk therefore I am”. This is this main point Descartes is alluding to. This is very deep and the cause of what people call intellectual Enlightenemnt. It is the cause of the enlightenment of Steve Jourdain, of Rudolf Steiner. Now,to say that they are different doesn’t mean to say that they don’t interact. For Kant the world of ideas cannot touch the world of matter, and of events. It is where Steiner departs from him, and states that the two are very much inter-related. So the real question for new american pragmatists is :do you think mind is equal to matter or do you think mind is higher than matter. maybe I don’t understand well, but it seems to me that for the pragmatists, mind and matter are on the same footing, which looks terribly materialistic to me. Somehow the sense of what an idea is, has been completely lost. Do abstractions exist for the american pragmatists or not ? what I find unfair is to say that the pragmatists are the only ones to reconcile mind and matter. That is simply not true. Steiner, Descrates, Kant have all their way of reconciling the two. Again , to put a hierarchy between the two, as Steiner does or Descartes does, doesn’t mean that they cannot interact. The pragmatists deny the existence of the abstract world. For me it is a terribly materialistic position; although ultimate materialism says that only matter exists and not ideas. Steiner : abstract ideas can touch and influence matter. c)pragmatists : mind and matter always exist together. There is no such thing as matter without mind ( which Steiner would agree with ) and there is no such thing as mind without matter ( which Steiner would disagree with). Hence abstract ideas don’t exist at all per se. They always need a material substract to exist. d)ultimate materialism : only matter exists, not mind. I cannot understand how someone like Andrew, who is Enlightened, so who believes that the “no thing ”exists, can rely on the pragmatists. [ which is the intellectual enlightenment]. It is a terrible mistake. True integral vision will have to incorporate Pure Ideas as well in the scheme. It is what Gebser and Bateson are tempting to do. coming directly from the Abstract Ideas of a mathematician. One cannot reduce idea to their symbols, and the pragmatists view seems to do just this. That’s why it is potentially limited, although it was very useful to navigate in the 20th century. We didn’t evolve out of it yet, and the 20th century was so tough that it was the best thing human could do at the time, and the world was savd by this Amercian attitude. Time to go further now and to incorporate the German heritage, which made general relativity and quantum mechanics before the war. This comes directly from t he world of pure ideas, it is too high for a pragmatic approach. “the trouble with physics” which says just this. Catherine, I am intrigued by your distinction of mind being first. I now feel that I have expressed the pragmatists ontological view as clearly as a I can at the time and I would like to devote the next few points to looking at some of the more subtle distinctions that you are brining up. In fact I would be happy to post a “guest” post from you on the nature of the mind first idealism that you are discussing if you would care to write something. I would really like to go into these distinctions, mind/matter, body/soul, idealism/materialism, rationalism/empiricism, realism/nominalism, etc. etc. with you and everyone. By the way, I didn’t mean to imply that the Pragmatists were the only ones to try to reconcile mind and matter – just that they had a unique way of doing it. Kant is more generally seen as the first as far as I have heard. 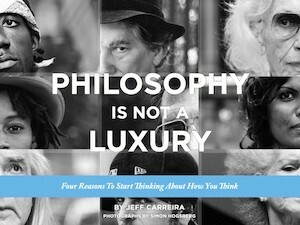 Is anyone working on a book, “Jeff Carreira for Complete Dummies?” I could really use it! What you have said about American pragmatic philosophers is correct. Are you saying you too believe this is so? Catherine, I do not know if you have already looked at Gebser. Today I started reading and looked for the issues mentioned above. It is only now that I see that your background is needed to really understand it. Physics, Einstein, Planck, fourth dimension I just do not have the possibility to understand it. I also would appreciate it very much if you could write about it. Thank you for the things you already wrote. I did find some interesting things with Jung on the subject. Even though I should also leave this to Catherine, I would love to point at it already. He says: the human soul is imprisoned in the body as the anima mundi is in matter (p240). I have mainly looking back in Mysterium coniunctions, looking for this anima mundi, which is called the quintessence and real substance of Physis (nature). This was a second soul that grew through the mineral, vegetable, and animal kingdoms up to man, pervading the whole of nature and to it the natural forms where attached like appendages (accessories)p 280. P322 he calls the anima mundi the feminine half of Mercurius’; ‘Nous’ (Phneuma of God, spirit) is masculine. p379: ‘King/queen, body/soul and spirit/soul are one, the queen corresponds to the soul (anima) and the king to the spirit, the dominant of consciousness. Jung quotes Richard White (p84), who says in 1567 ‘the soul is an idea of such great power that she creates the forms and things themselves’; ‘she has within herself the ‘selfness of all mankind’; she transcends all differences’ thus, if she should would know herself, she must contemplate herself, and gaze into that place where the power of the soul, Wisdom, dwells. Jung constantly points to ‘ascending to heaven and descending to hell’. At a certain point he talks about the anima mundi who has been freed from the shackles of matter ‘it appears in monstrous form: the head is surrounded by a halo and reminds us of the traditional head of Christ, but the arms are snakes and the lower half of the body resembles a stylized fish’s tail (p187); the filius macrocosmi who, because of his double nature, is not only spiritual and physical but unites in himself the morally highest and lowest. The Alchimists: it about freeing of the soul from the shackles of darkness or unconsciousness; its ascent to heaven, the widening of consciousness; and than its return to earth, the hard reality, endowed with the powers of Above (p224). P207 the anima mundi and the four elements are called ‘the spirit of life that was in the wheels’. Here is pointed to Ezekiel’s vision because the vehicle had the appearance of a man. Together with the ‘spirit of life’ in the wheels it represents the empirical self, the totality of the four functions. These four are only partly conscious (the fourth function has its seat in the unconscious, see below). God uses the quaternity of the self as his vehicle (the chariot is symbol of earthly life). Quaternity connects to four alchemical colors black(dark night), white, red (fire), yellow (gold); or air; water, earth, fire; quaterity is a cross where two opposites connect to another pair: male/female; active/passive. For self-knowledge one has to cross the four continents where one is exposed to the dangers of earth, sea, land and air. The aim is to understand all parts of the world, to achieve the greatest possible extension of consciousness, not to turn away from its empirical so-ness (p210). In alchemy the fire purifies, but also melts the opposites together. Anyone who has passed through all the spheres is free from compulsion; he has won he crown of victory and become like a god (p230). The soul, conscious now of its godlikeness, carries the light undisguised down into the darkness of the world. The ‘philosophic’ gold of the Alchemists is an embodiment of psyche and pneuma, both of which signify ‘life-spirit’. The gold comes into being through the liberation of the divine soul or phneuma from the chains of the ‘flesh’. where all this was turning into my head. This was for me what I call a breaking point. For the first time I understood the huge gap that there is between european intellectuals like me and the american pragmatists ones [ which view is conquering the world, which viewpoint is everywhere… for better of for worse]. it is clear that I had never understood before that pragmatism denies the existence of the world of pure ideas, of pure spirit. This world is basically everything to me. It is all my faith, all that I use to be intellectually creative. It is a world I can only testify I am sure exists and is incredibly reactive towards the world of matter. Steiner is completely right on this. The world of pure ideas simply exists and no, not everything can be described by a coin, not every- thing has two side. Not everything emerges with an interior an exterior and a boundary. This is just not true at all. It is a mechanism of emergence, yes, but not at al complete. Pure ideas exists y themselves and have no side at all, they are powerful “beings” [ beings-in the sense that they look as if they “act” on us] of their own, not divided, powerfully influencing the material world and the conscious world. I can prove this. As some know, I am in the present moment in the midst of the verification of a “big scientific result”. The whole thing was for me the emergence of a pure idea. It was an incredible moment, that Steiner would have liked, where this idea was in the middle of the room, between my collaborator and me. I “saw” it, we both felt its very mysterious strength and beauty. So here is my proposal for Jeff and Andrew. My collaborator and I will know this year (2011) whether we are right or not. If it comes true, after all that I said how this result came, will you believe me ? will you believe in the strength and power of the world of Pure Imaginary ? Will you believe that this force is really there, just to be taken, like a king of junction poitn between the world of the emergence, described by the pragmatists and the “involution world” described by many, but maybe the best for this is Sri Aurobindo. If the result doesn’t come true, I am ready to reconsider my position, and to humbly accept that I am imagining something unreal but if it does come true, please believe me. I saw the beauty of this thing, I saw the power of it, I saw that Kostya [ my collaborator ]and I had to surrender and let it go through us, to provoke this germination. To be touched by a Form like this one, by an Idea like this, is to be touched by God. To tell the truth I felt terribly lonely the last few days. If Andrew had been an intellectual I would have had to leave. Just because an intellectual who doesn’t believe in the power of Pure Imaginary simply cannot be enlightened. It is impossible. Andrew apparently went further very quickly, and by passed the intellectual stage. This is great, except for Evolution. For evolution can we really make the economy of such a terribly impressive force ? I honestly hope that at some point the truth will prevail. I just know what I saw, I know that I have been touched by something very high, of the order of an intellectual form, and that it was immediately changing all the conceptions we previously had on this theory. Believe me it is crucial to believe in this world to get any real intellectual progress. It is a huge mistake to overlook it and Wilber who apparently does just this, shows only his weakness and complete lack of understanding of how a genius idea comes. The rule number one that he completely misses, is that the world of Pure Imaginary exists. Then we can talk about emergence. Then only. Thank you for writing Catherine! It is amazing to read about your research, it is great you tell us about it and I look forward to see what Jeff’s response will be. I will not mix in the discussion, but look forward reading it. I found that Jung pointed to William James’ variety of spiritual experiences for his understanding of Soul and also Andrew had his first experience when reading this book (he talkes about deep structures in consciousness, as far as I understand in the Universe..). Since reading Jung I am very intriged by the anima mundi. This is all very much connects to what you are talking about so I am reading again James’ book. Thank you again for writing and being so clear, I hope a lot of people will connect in the discussion. I wish you all success with the verification of your results. I also look forward to your comments on Gebser, but it is a huge thing to read. Success! Some more notes to atecncuate your article..1) Product design is the domain of a creative process. All those recent wonderful Apple products are the works of two chief creative folks: Steve Jobs & Jonathan Ive. There is no substitute for a creative person’s instincts.2) There are however some standard techniques people employ in new product design (eg. CTQs from SixSigma or QFD – Quality Function Deployment etc). Such techniques are too rigorous and at times can stiffle the creative juices but they are needed for huge projects like designing a new airplane.3) There is a nice book called “Don’t make think”. Probably it is a good read before embarking on any software UI design. A quick reply to Catherine, and thank you so much for your thoughts. I intend to look at Steiner. I would like to proffer a recommendation, should you have not read them before. Take the opportunity to look over the books of Gilles Deleuze, perhaps beginning with his book “Bergsonism” and then moving into Difference and Repetition and the Logic of Sense. Deleuze’s delineation of the virtual and the immanent sounds parallel to what you have described. In short, Deleuze’s rigorous inversions of, and challenges to, Cartesian, Kantian and Hegelian philosophy leave the “coin” much more open. They also provide a strong alternative (in my opinion, much conceptually stronger) to Wilber regarding “integral thinking.” None of it is easy reading, but it is certainly giving me much to think about.